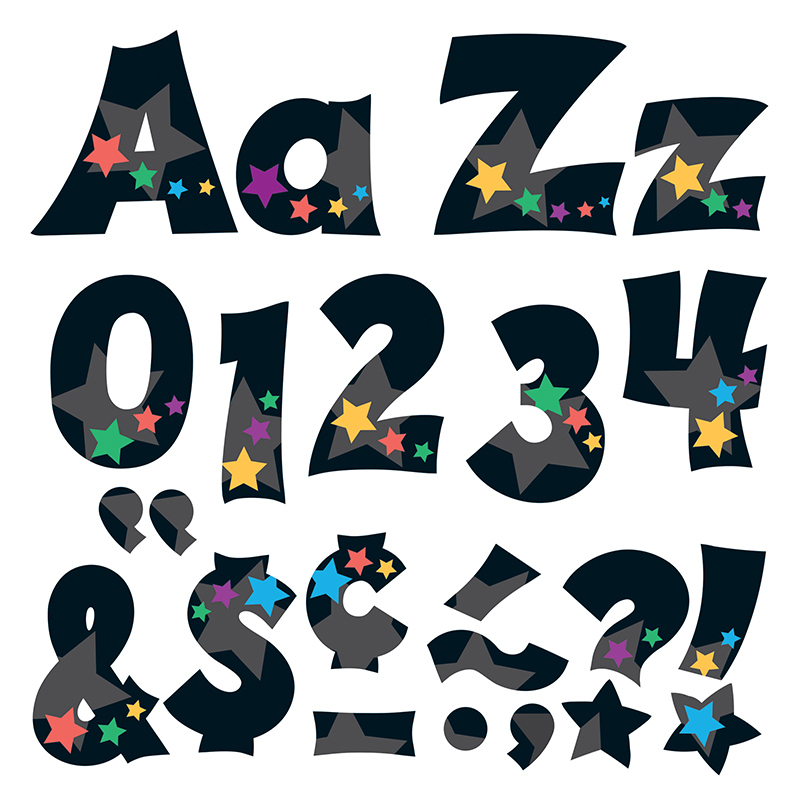 Lively letters ... limitless possibilities! Convenient, reusable, and easy to use. Great for student work displays, bulletin boards, signs, banners, news boards, learning activities, labeling, and much more! Fade-resistant colors coordinate with TREND products. Durable. Includes 50 uppercase letters, 82 lowercase letters, 21 numerals 0-9, 44 punctuation marks, and 28 Spanish accent marks in assorted color patterns.